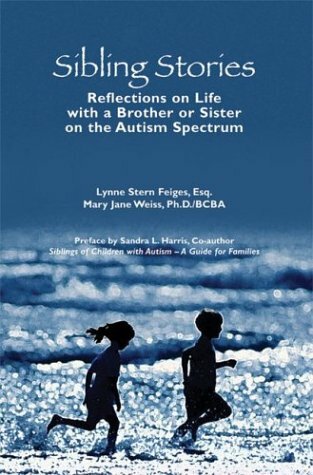 Relates sibling relationships involving a brother or sister with an autism spectrum dis-order and the emotional challenges for everyone involved. Collection of first-person excerpts from interviews with 20 siblings offers in-depth coverage of the issues of paramount concern to typical siblings like establishing boundaries and resentment. A chapter devoted to coping strategies is enhanced by end-of-chapter professional advice on how to maximize the sibling relationship.